Great for everyday wear, special occasions, or for bridesmaids. An easy way to add a little flair to your hair! 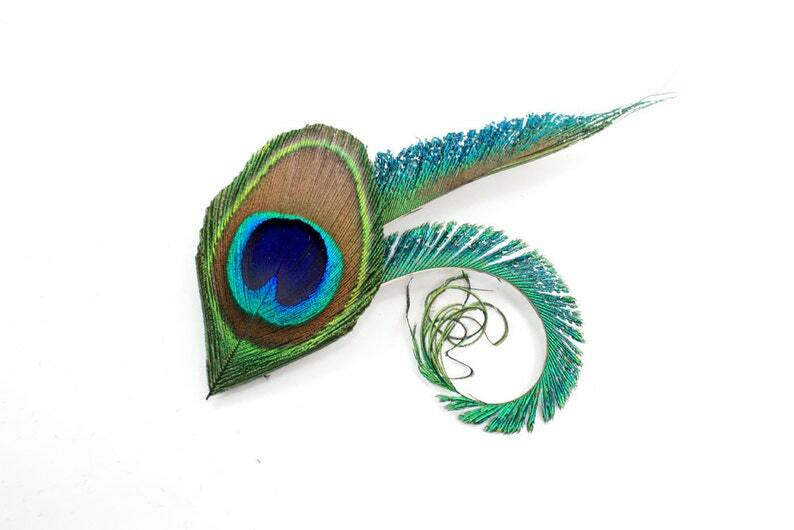 A lovely hair accessory comprised of a peacock eye feather and two peacock swords.